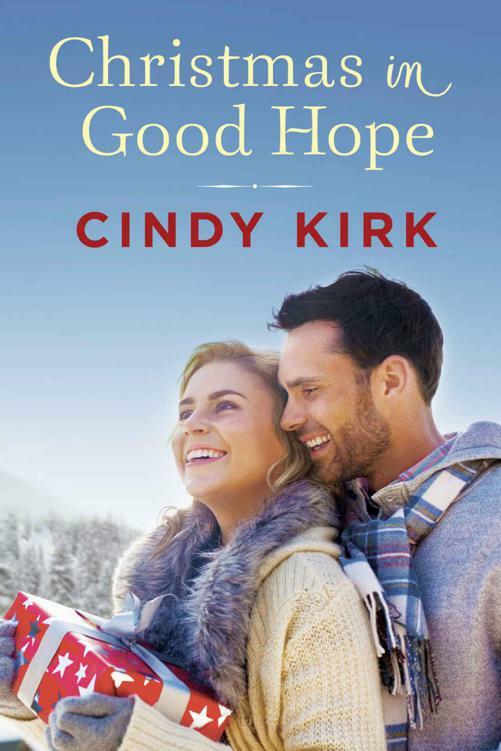 READ Christmas in Good Hope (A Good Hope Novel Book 1) FREE online full book. To Renee Ryan and Nancy Robards Thompson, fellow authors and fabulous friends. As a writer I should be adept at coming up with something brilliant that conveys how much your friendship, love, and support mean to me. But I’ve never been good at such things. Just know that while a love of the written word may have brought us together, mutual respect, friendship, and love are the glue that binds us. You are truly the sisters of my heart. Thank you, thank you, thank you for your unfailing support! It may have been only the first of December, but historic Hill House in the small village of Good Hope, Wisconsin, was already gussied up for Christmas. In spite of the festive evergreen wreaths with red ribbons at each window and pinecone garlands around the white porch rail, the home reminded Amaryllis Bloom of an aging film star trying to conceal wrinkles beneath a thick coat of greasepaint. If anyone understood a desperate need to hide flaws beneath a polished veneer, it was Ami. God knew she’d tried. But she finally had to accept that guilt wouldn’t go away just because she prayed and that past errors, no matter how much she regretted them, couldn’t be undone. Old memories dipped her sunny mood briefly into overcast. But the clouds cleared when Ami entered the 1870s home. She perked up, eager to see what decorations the historical society had in store for visitors this year. It certainly wasn’t off to a rockin’ start, not if the gold bows and garland draped on the massive staircase to her right were any indication. The greenery was a nice touch, although also a tad boring. Things improved significantly when Ami reached the parlor. Her gaze was immediately drawn to the corner where a seven-foot Fraser fir stood. Though Ami was normally a fan of bright holiday colors, the dark green foliage decorated in an understated color scheme of silver, gold, and bronze took her breath away. Instead of a traditional star, fresh holly and large gold temple bells adorned the top. The elegant scheme extended to a mantel arrangement. There, peacock feathers and mirrored ornaments coupled with curly willow branches added accent color, complementing the tree. After admiring several less prominent touches the volunteers had added to the room, including shimmering oversize Mercury glass ornaments in a basket by the fireplace, Ami heeded the five-minute warning and took a seat. The monthly meeting of the Women’s Events League began precisely at one. As red, tart cherries were the main crop on the Door County peninsula, the group had been dubbed the Cherries. These prominent women planned all holiday events in the village of Good Hope. As the treasurer launched into the financial report, Ami glanced around the semicircle. She caught sight of Anita Fishback at the far end of the horseshoe. It had recently become obvious—at least to Ami—that the midfifties divorcée had Ami’s widowed father in her crosshairs. Ami couldn’t imagine a worse match than one between the piranha and her sweet dad. Ami averted her gaze and focused her attention on the other members. While some of the women were near her age, many were old enough to be her grandmother. Or, in the case of the current treasurer, her great-grandmother. Ninety-six-year-old former community theater star Gladys Bertholf went for flair as she reported on the organization’s current financials. Cadaver thin with a shock of dark black hair boasting a swath of silver, Gladys gestured broadly as she reported, the sleeves of her purple caftan dress fluttering around birdlike arms. The older woman’s voice carried easily throughout the richly decorated room. Unfortunately, there was only so much even a former actress could do with pitch, tone, and movement to make a P&L statement interesting. While a trifle eccentric, the woman was amazing. Not only was she a whiz with figures and a master of public speaking, as of last month Gladys was now the oldest member of the Cherries. Her elevation to treasurer had occurred when MarJean Thorpe had passed away at 103. And it had been MarJean’s passing that had opened a spot for a new member. Ami had been the chosen one. She’d been thrilled to be asked. But sitting here now and feeling completely underwhelmed made her wonder if this was freshman year in college all over again. She’d gone through rush only to realize several months later that sorority life wasn’t for her. , she told herself sternly and refocused on Gladys. Ever since her mother died three years ago, Ami had been even more determined to receive a coveted invitation to join the group. Some of this desire sprang from the fact that membership had been something her mother had pursued but never achieved. But mostly it was because Ami, like her mother, believed strongly in their mission. From a merchant’s perspective, she recognized the financial value of celebrations. The events planned by the Cherries brought much-needed tourist dollars to their small township. But for Ami, the increased revenue was an added benefit. It was the warm sense of community and camaraderie, the way holidays brought people together, that made the planning worthwhile. As far back as Ami could remember, she’d been a holiday planner. The oldest of four girls, Ami recalled with much fondness the cookie-baking marathons, the ice skating races on Rakes Pond, and all the neighborhood Fourth of July parades she’d helped her mother organize. Sarah Bloom had loved everything about holidays and had gone out of her way to make them special for her family and neighbors. Her mother would have been an asset to the Cherries, but a stay-at-home mom and wife of a high school teacher hadn’t been on their radar. Ami found it reassuring that once she got past the sixty-day probationary period, she would be a member for life. So she had to sit through a few boring meetings to get to the fun stuff. What else was there for an almost-thirty-year-old single woman to do on a snowy Monday afternoon? An image of a roaring fire, a book, and a glass of wine flashed before her. She shoved it aside and caught the tail end of the report. As Gladys returned to her seat beside Ami, the executive director, Eliza Shaw, took the podium. With her tall, slender figure and natural elegance, she looked more like a New York model than the owner of a general store in upper Wisconsin. As usual, Eliza was dressed more for style than the weather. While Ami wore tweed pants and a bulky cable-knit sweater with her beloved UGGs, Eliza had chosen black pants that hugged her slender legs like a second skin, a tunic of cherry red, and shiny heeled boots. When Eliza’s gaze scanned the group of women, it passed over Ami as if she weren’t there. It pained Ami to remember that at one time she and Eliza had run in the same circle of friends. But that had been a lifetime ago. A murmur of disbelief rose like an orchestra’s crescendo through the group. Eliza quieted them with a hand. “He actually said no?” Gladys’s rich voice filled the momentary silence as she slapped a hand sparkling with jewels to her breast. Katie Ruth grinned. The pretty blond retained the perky bounce she’d had in high school. Now, instead of leading cheers, Katie Ruth was the front desk manager at the BayShore Hotel. , a daily electronic newsletter. Targeted primarily to peninsula residents, it included local news and events as well as a popular gossip feature. “That man is impossible,” someone muttered in an overly loud voice. might be stretching credulity, there was no denying that the annual Victorian Tour of Homes was much loved by residents and tourists alike. Traipsing through prominent and primarily historic homes festively decorated for Christmas definitely drew the crowds. Since the event had begun, the historic Spencer-Shaw house—the one Beck purchased last summer—had always been the first on the tour. Not to mention the most popular. Perhaps if any of you bothered to visit her, she’d have told you. Ami kept the uncharitable thought to herself. She and the spry octogenarian met weekly for tea, and the sale had been as much of a surprise to her as it had been to Katherine’s family. Never once had her elderly friend mentioned selling her home and moving to Arizona. Not until it was a done deal. But then Kate had always been an intensely private person and a little eccentric. Though she wanted to help, Ami’s contact with Beck was minimal. Sure, she saw him every morning, but theirs was a superficial relationship, kept alive by a mutual predilection for pastries and strong coffee. She had no more insight into what made him tick—and regardless of what Eliza believed, no more influence on him—than any other woman in the room. Ami had no doubt one of those who’d expressed concerns had been Eliza. She knew why the woman hated her, understood and accepted the animosity. But Ami wouldn’t allow her—or anyone—to impugn her loyalty to Good Hope. For years, Ami had worked tirelessly to increase participation by the merchants in the holiday celebrations planned by the Cherries. As owner of Blooms Bake Shop, located in the heart of the Good Hope business district, Ami knew the extra revenue these celebrations generated. This was especially true in December, when the entire village was transformed into a winter wonderland for the Twelve Nights celebrations. “Otherwise what?” Ami asked bluntly, her patience gone. Ami thought about Eliza’s threat on the short stroll to her apartment over the bakery. Considered it again as she polished off a late lunch of corn chowder. It was obvious that if she didn’t get Beck to agree, the vote to grant her full membership in the Cherries might not go her way. But then Ami remembered her mother’s unfulfilled dreams. She’d give the next sixty days her all. If they booted her out, well, she’d have done her best. At peace with the plan, Ami slipped downstairs to the shop she considered her second home. A scent of yeasty earthiness with a dash of cinnamon teased her nostrils. She paused in the doorway to survey her kingdom and experienced a rush of pride.